Many of you already know the dining room of Hat City Kitchen is an orbiting art gallery powered by Valley Arts and curated by Jeremy Moss. We have had plenty of cool exhibits like the ORNG Ink and Arts Unbound group show, Bisa Butler, and Jeremy Moss, to name a few. The last exhibit was Mundane Mondays – photographs by Kristen Turick. Turick’s works were beautiful snapshots of everyday life. 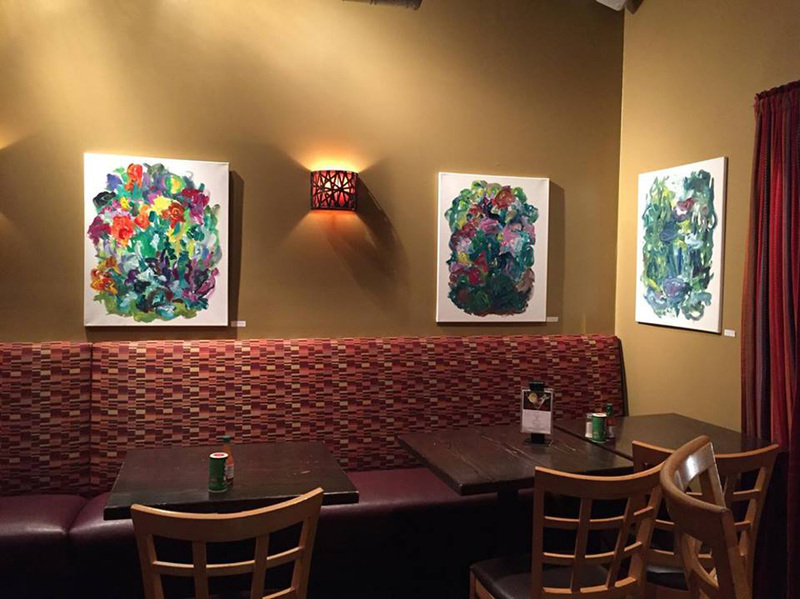 Now, you will see new abstract pieces by Susan Marx. I have sort of known Susan for a while now, connecting through a couple Facebook groups for artists in the Valley and residents of the city of Orange. 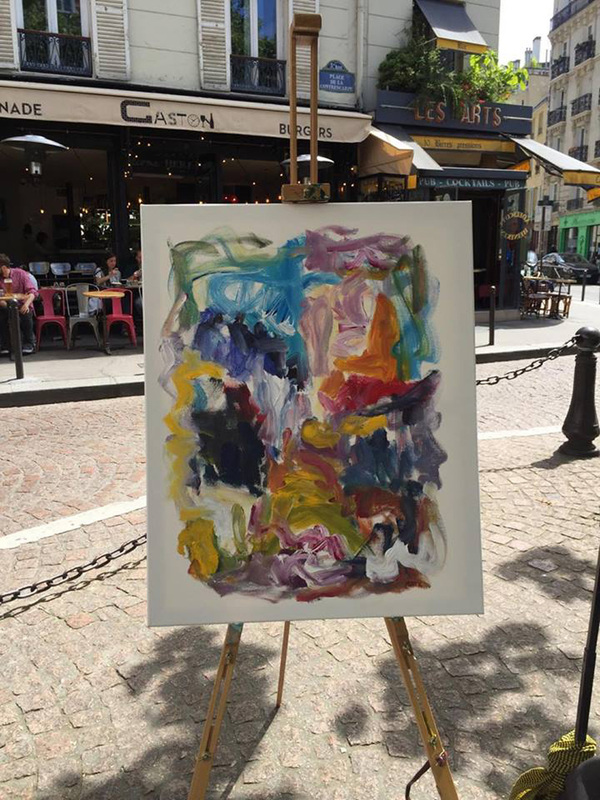 She is constantly exhibiting in New Jersey and New York. I hope to make it to one of her openings soon. Although she has attended popular Firehouse Gallery events like Open Orange and Slice of Orange, her solo show at Hat City Kitchen is her first here in the Valley Arts District. She’s previously exhibited her work in New York City at Chelsea and Lower East Side galleries. 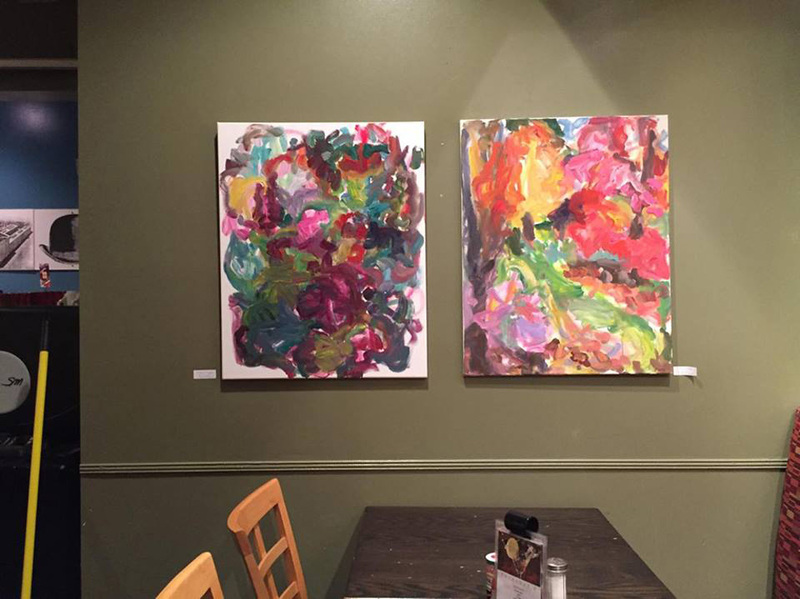 You can view her work at Hat City Kitchen through March 2017. The abstract impressionist painter pursued an art career after she retired. She approached galleries in New York and has had a successful career since then.